In light of the challenges this year has brought, we've been blessed with more comforting words, hugs, and small acts of kindness than we could have ever known was possible. From meals, to rides, to medical research, to thoughtful notes and and flowers...We've been showered with so much love. For this, our hearts are grateful beyond measure. 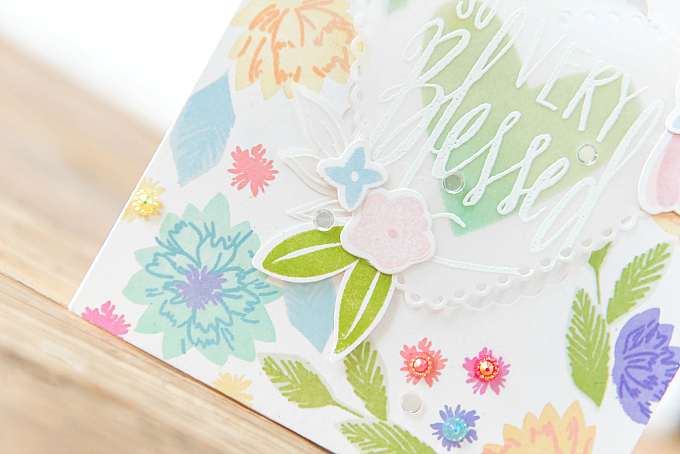 Sharing a little card today created with a full and thankful heart for the many blessings in our life. To start this card, I used a variety of Archival inks (Chrome Yellow, Bright Tangelo, Tea Rose, Violet, Leaf Green, Viridian, Sap Green) to stamp a floral design with 1canoe2's Twilight stamp set. 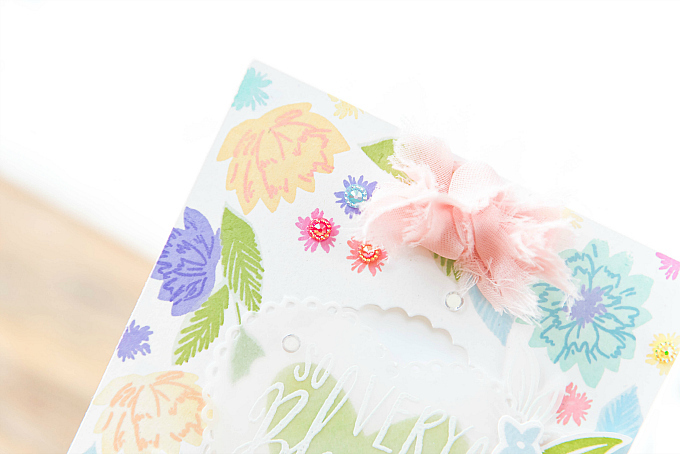 I concentrated on the edges of the card for the stamping, and used an oval scallop to cut out the center of the card. At the top of the card, I added a tiny bloomer ribbon, and some sequins as well as iridescent rhinestones throughout. 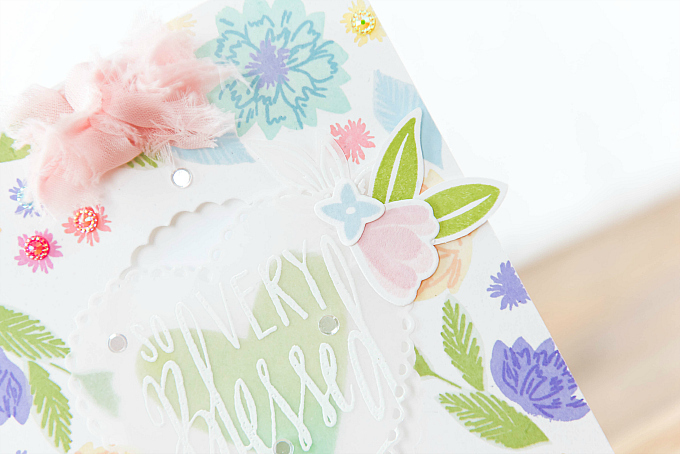 For the sentiment, I used PTI's Limitless Layers: Hearts dies to cut a vellum heart, stamped and embossed using Neat and Tangled's So Very Blessed stamp set. 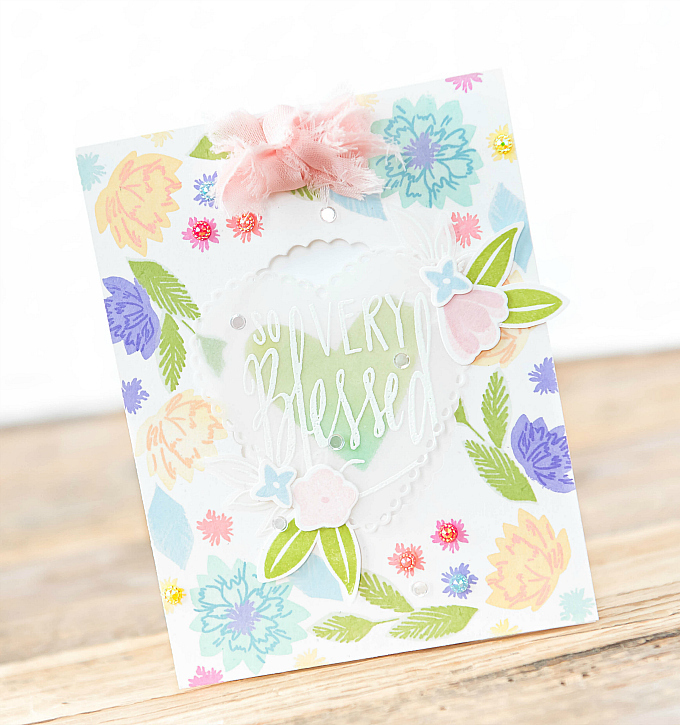 For the accent flowers, I used Wplus9's Southern Summer Florals 1 stamps and dies in colors of Green Parakeet, Sweet Blush, and Spring Rain. This is so lovely!! 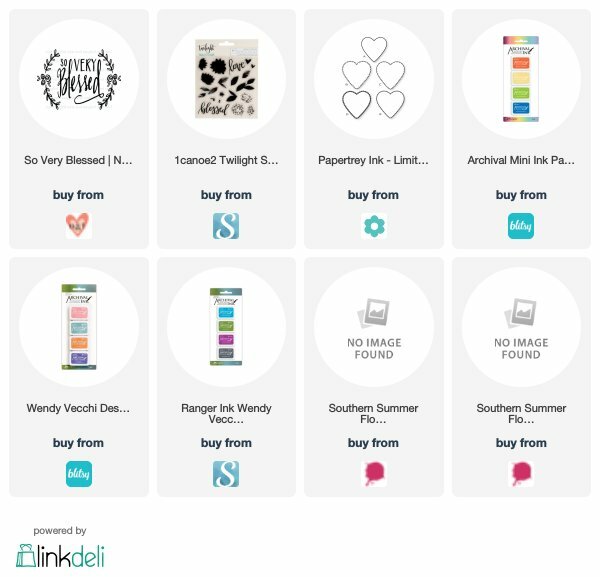 I like the vellum heart. It is so delicate against the lovely stamped background. Such a beautiful card!! Ivana, I'm sorry to hear you've had a tough year … this is a very beautiful way to say thank you for all the kindness you've received! big hugs... hope things are better! Thank you, Greta, very big hug right back atcha!